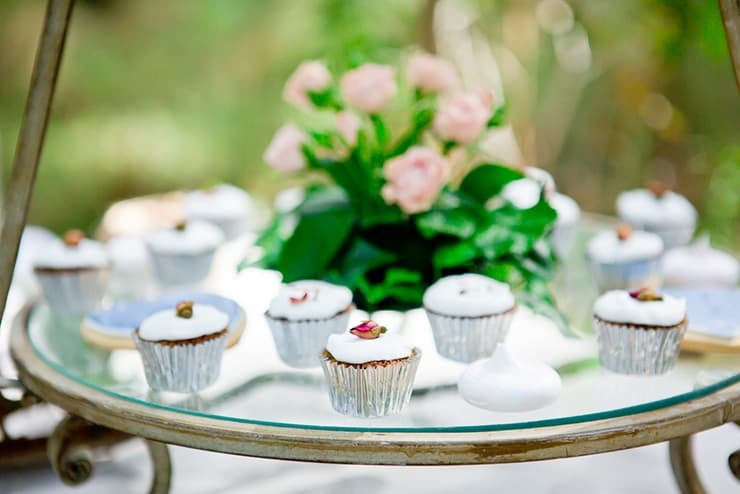 Looking for some beautiful and achievable ideas for your day? 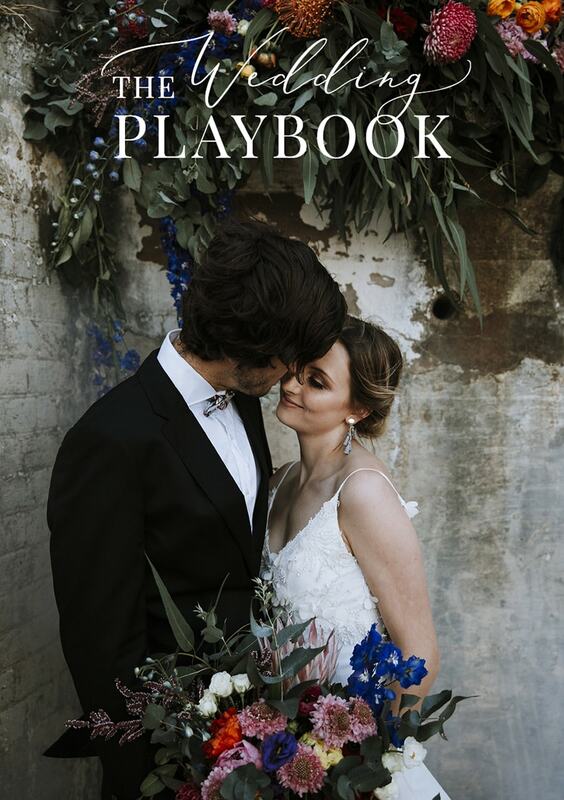 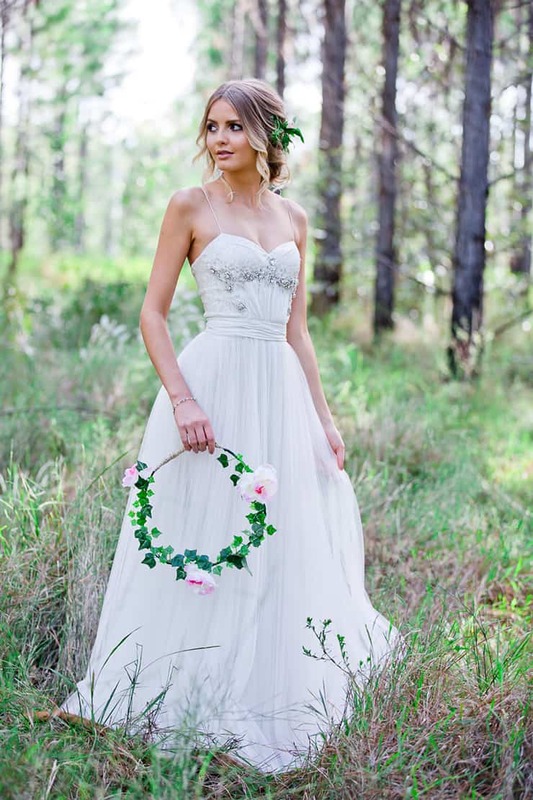 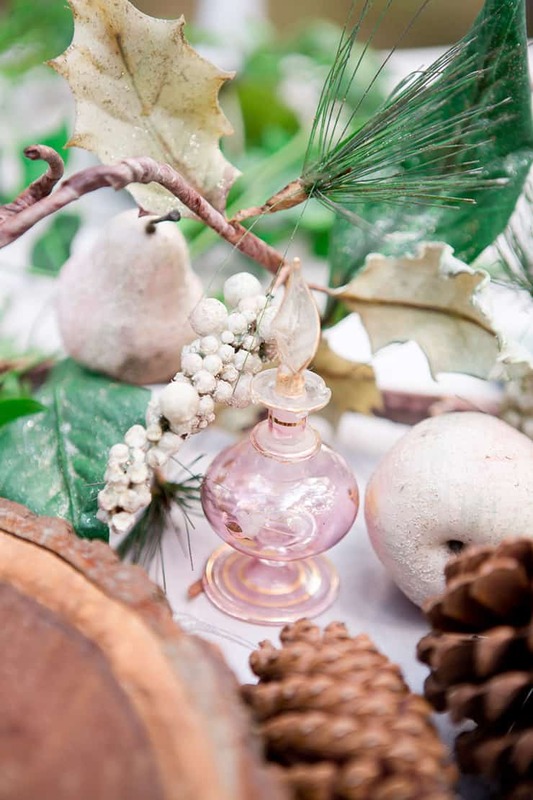 This romantic woodland wedding inspiration has plenty to share, featuring a muted blue and soft pink palette, exquisite bridal styling and stunning bouquets that won’t break your budget. 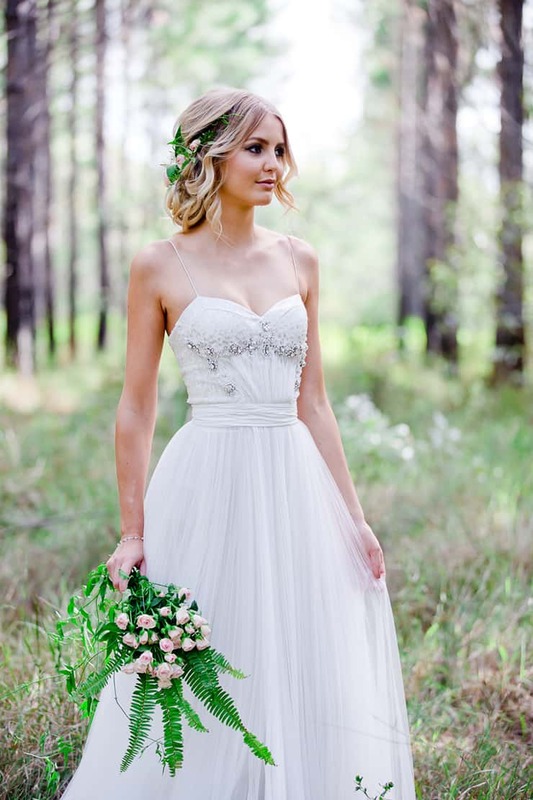 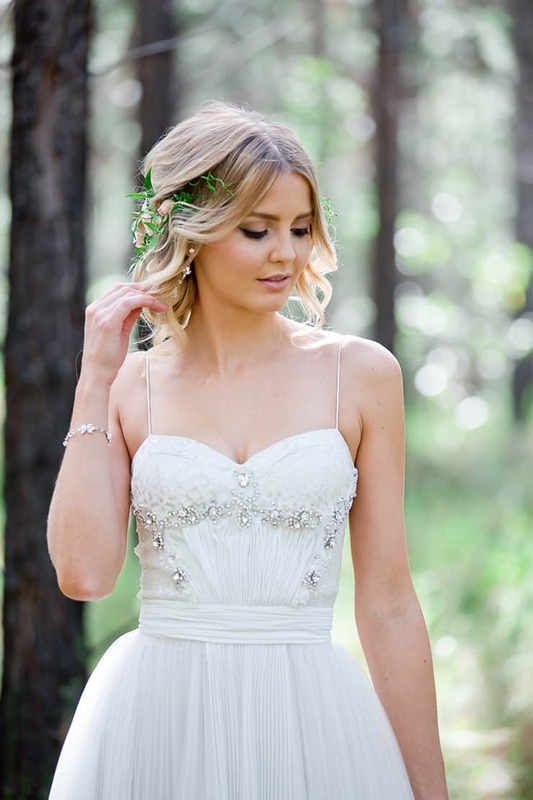 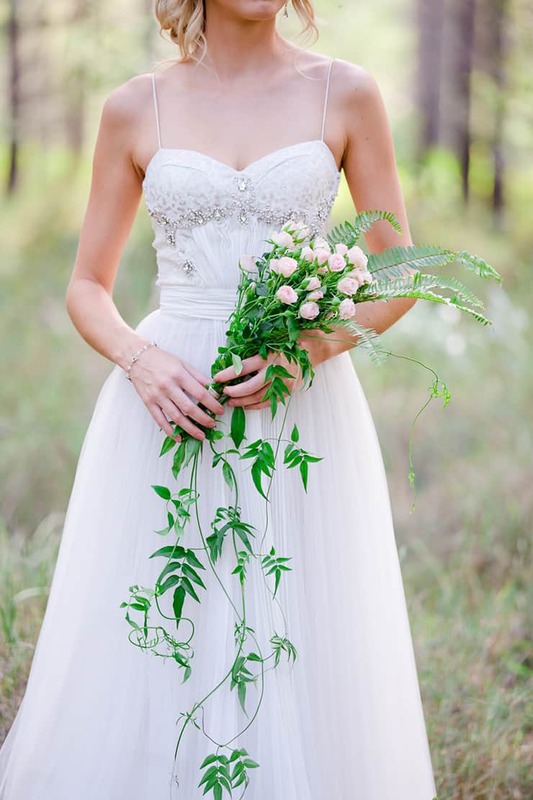 We adore this light and lovely wedding gown, featuring an intricately beaded bodice and pleated skirt. 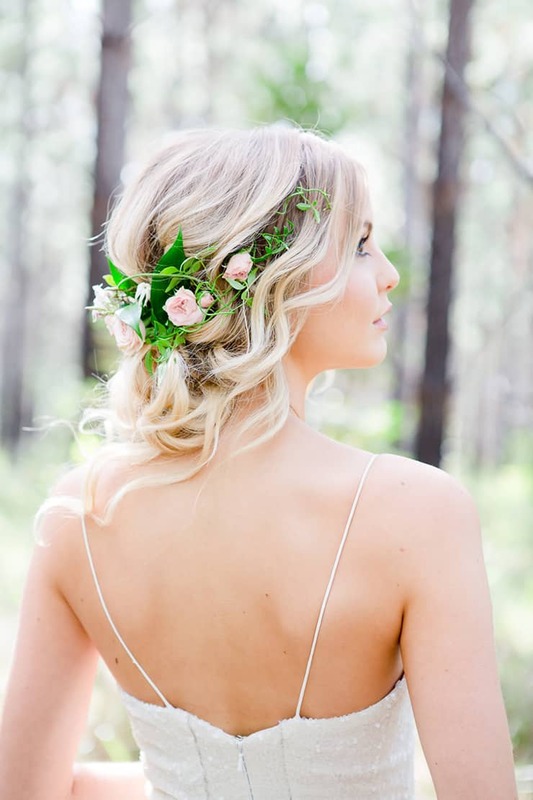 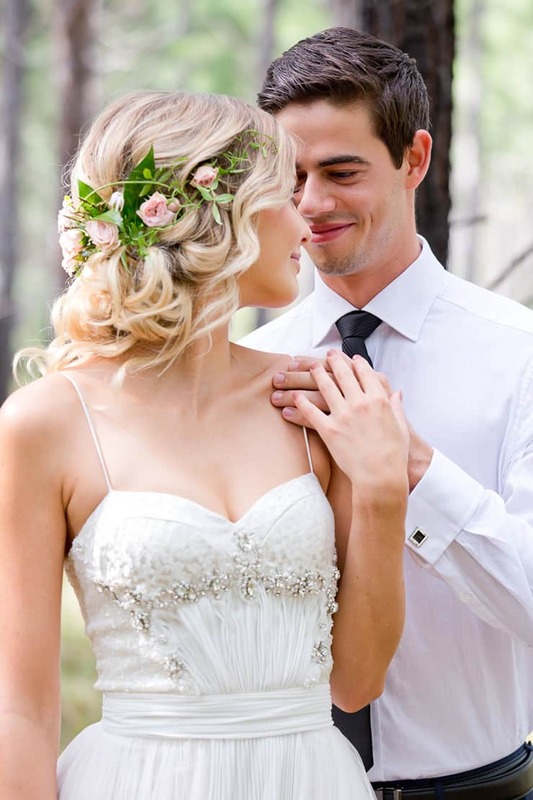 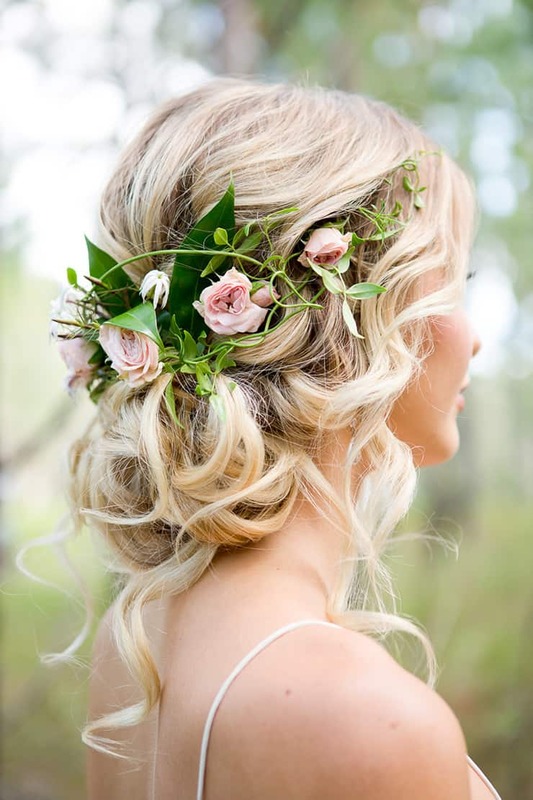 An updo of softly pinned curls, half-halo of roses and natural makeup completes this elegant styling. 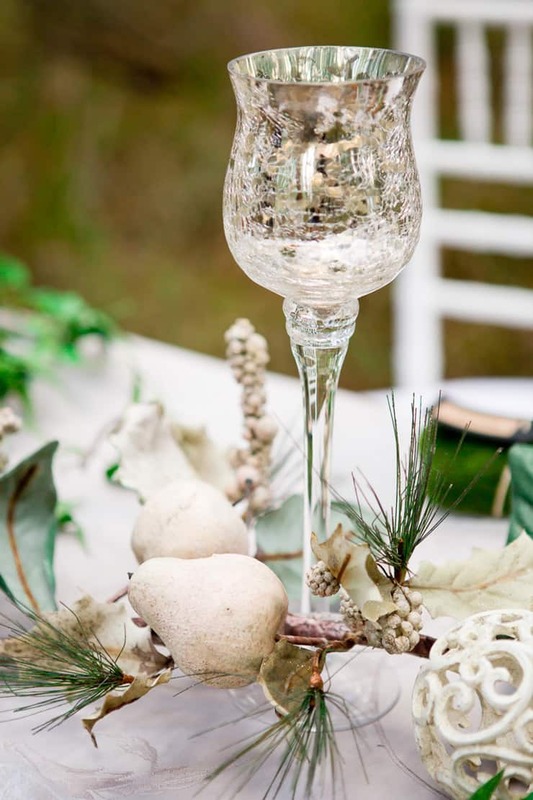 Combine touches of luxe and whimsy in your decor with silver ice buckets on rustic wood rounds, vintage perfume bottles nestled amongst textured greenery or crystal candleholders paired with pine. 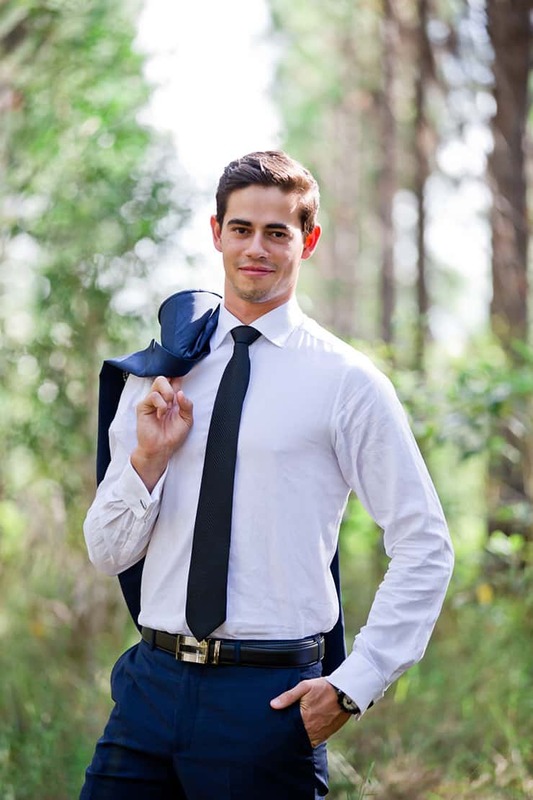 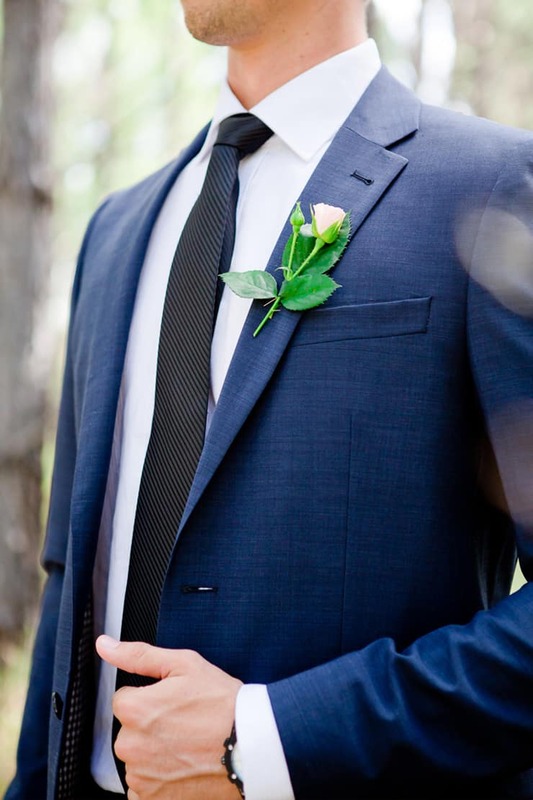 This sleek and modern look features a navy suit with crisp white shirt, dark blue tie and a single rose boutonniere. 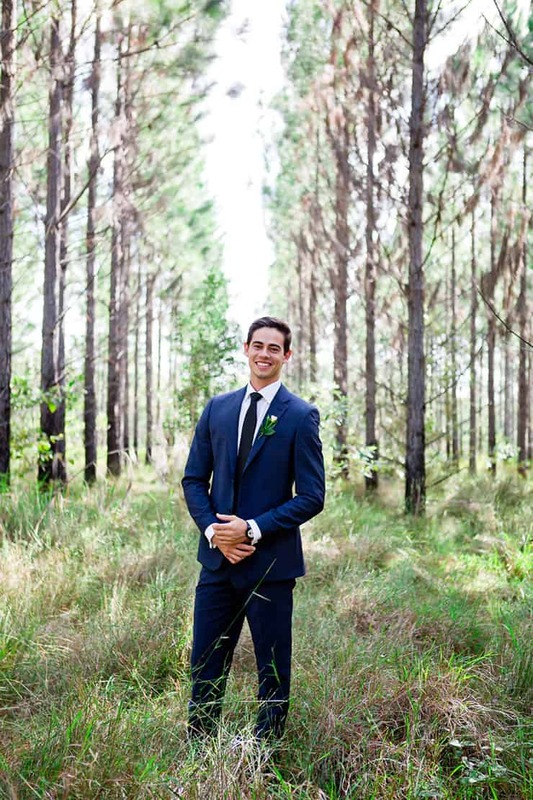 Statement accessories like a perfectly matched belt, watch and cufflinks will make your groom feel like he is truly dressed for the occasion. 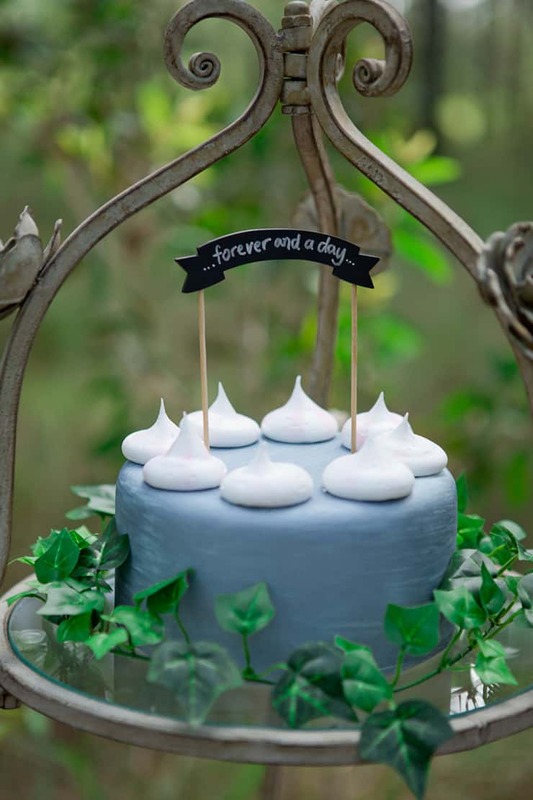 This sweet sentiment is the topper for a blue and white wedding cake encircled with ivy. 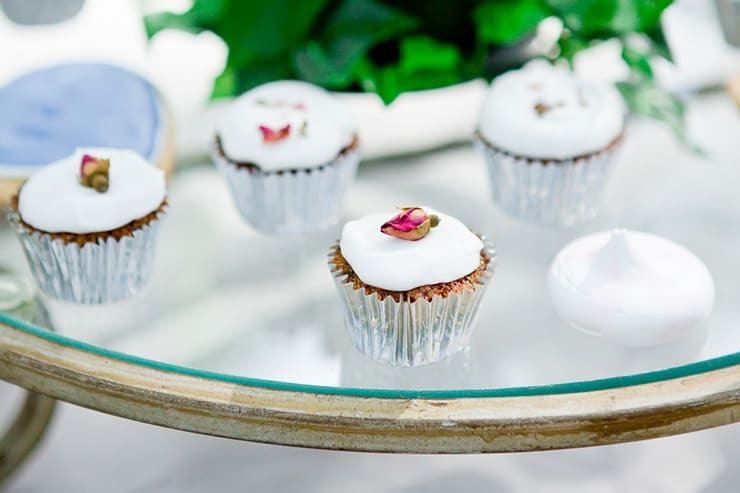 Bite-sized cupcakes, cookies and miniature meringues surround a posy of roses, creating a delightful and delectable second tier. 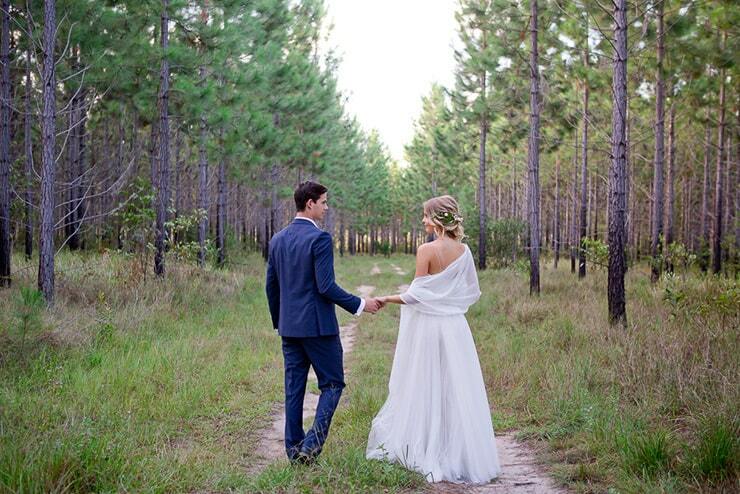 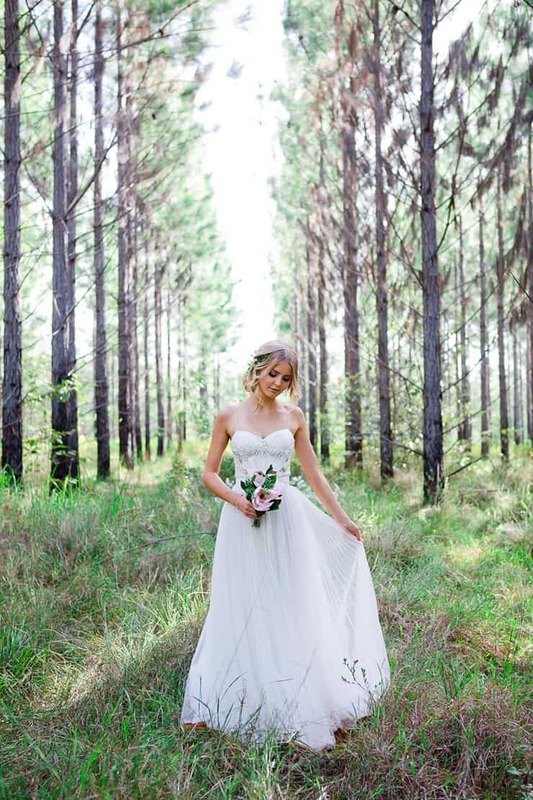 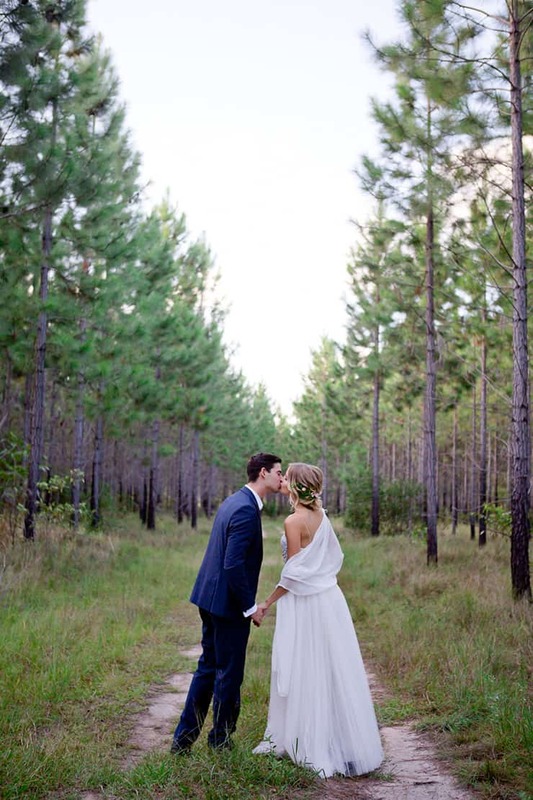 Wandering a secluded pine avenue with your love is fairy tale material – and something your photographer can help make happen! 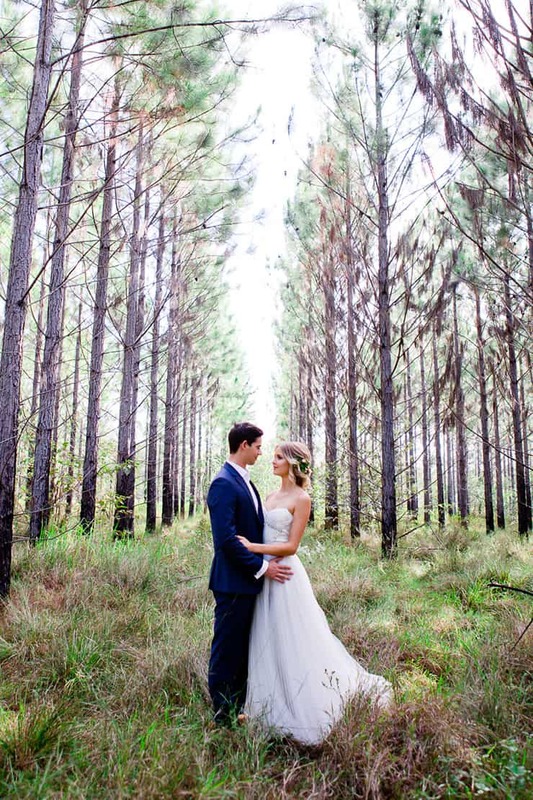 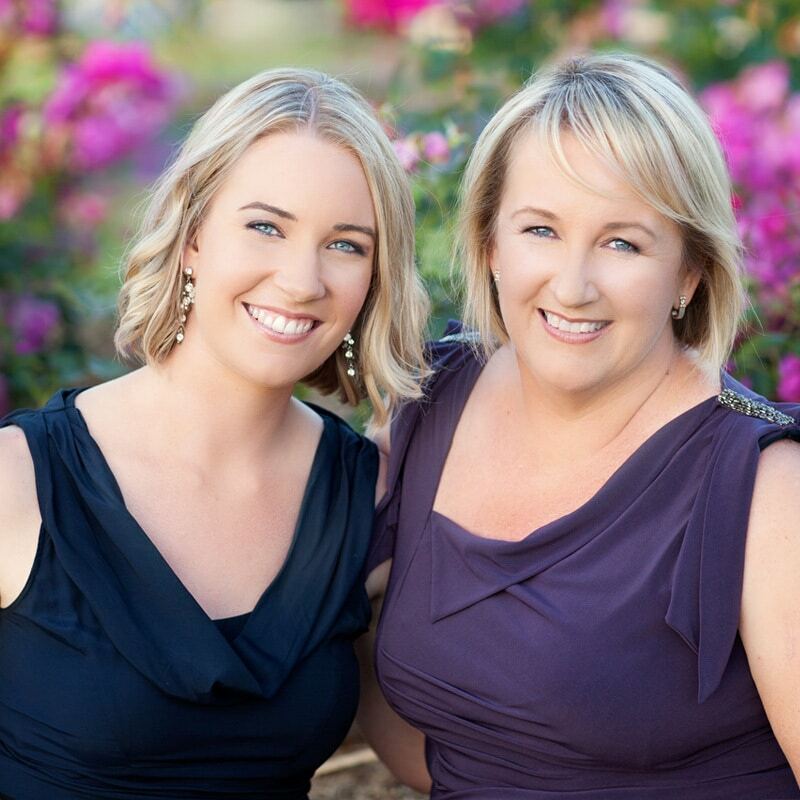 They are experts at scouting gorgeous locations perfect for that wow factor shot.